AC to 5v DC Switch Mode Power Supply 40A. Great for powering DC devices such as LED strip lighting and similar. This unit will power 1000 LED lights (0.2w per LED light in a strip usually). Voltage is adjustable via trim pot. Three 5v terminals are provided e.g. for powering 3 separate LED strips. 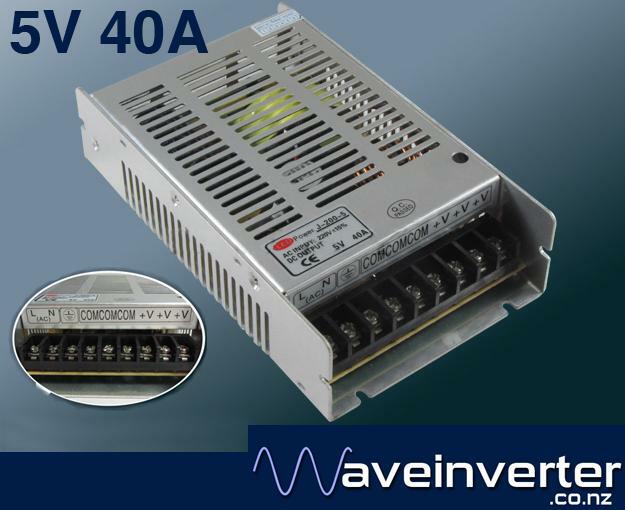 We have these switchmode powersupplies in 5V, 12V, 24V at 5A, 20A, 33A and 40A sizes.